The trend towards ever lighter vehicles has created new demands on cast aluminium parts and associated production processes. 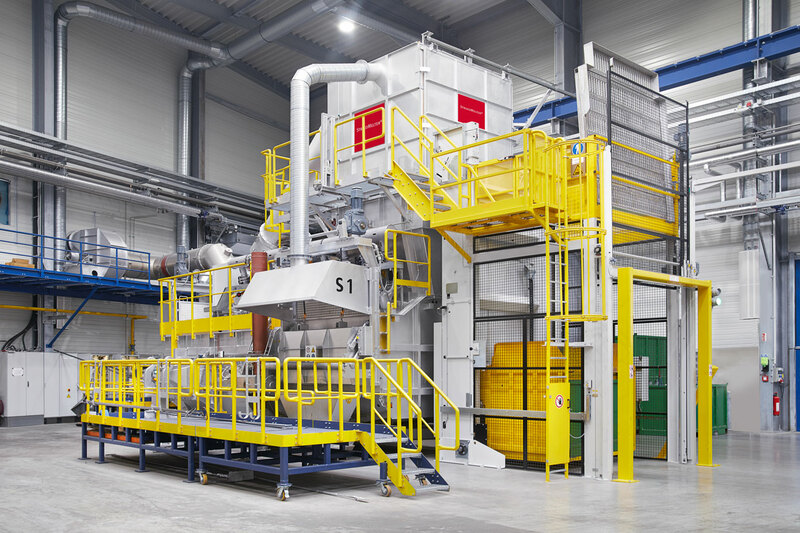 Returns in particular pose great challenges to foundries: melting furnaces increasingly have to handle a mix of large flat cast parts and smaller thin-walled material. Automotive supplier KS HUAYU AluTech (Neckarsulm) has found a solution to the problem in StrikoWestofen’s “BigStruc”. Not only can the StrikoMelter BigStruc handle returns with a size of up to 2.5 square meters, it can also melt them in a particularly energy-efficient way, even at low bulk densities. “The lighter the better” is the current mantra in Automotive. This ongoing trend requires new solutions across all phases of the part lifecycle, from component development through to production. To reduce vehicle weight as much as possible, the number of die-cast aluminium structural parts is increasing constantly. Additionally, more and more individual parts are combined to form integral aluminium parts, reducing the number of work steps required for joining and assembly. The result: a need to handle, make and process bigger combined and structural parts. StrikoWestofen, a Norican technology, has developed several products designed specifically for the casting of structural parts. 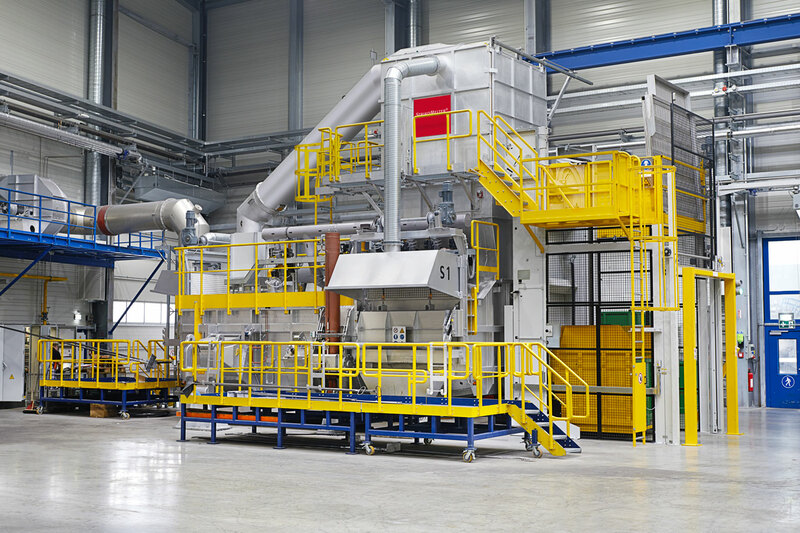 One of them is the StrikoMelter “BigStruc”, a melting furnace that can cope with complete stacks of ingots just as well as with small, thin-walled recycled material. “After loading, the shaft of the furnace is closed with a cover called a ‘hot gas baffle’. It keeps the heat in the shaft, preventing energy from escaping unused. 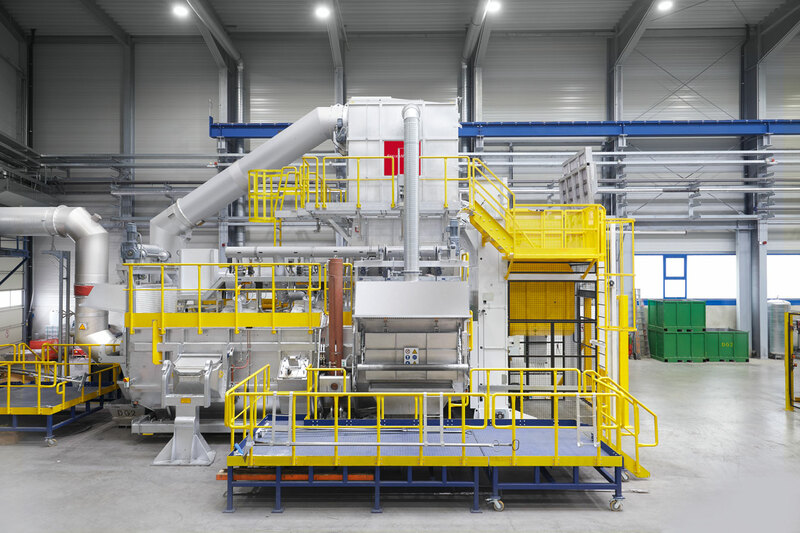 It also keeps the melting process efficient even at high-void volumes,” explains StrikoWestofen’s Peter Reuther. The advantages of the BigStruc melting furnace created a convincing proposition for KS HUAYU AluTech, part of Rheinmetall Automotive AG. The company’s “TPM” or “Total Productive Management” philosophy means that production processes have to run with minimal operator intervention. BigStruc was chosen for this reason. It dramatically reduces plant downtime, frequency of spare part replacement, and scrap and energy loss. Other arguments in its favour were its largely autonomous and hassle-free maintenance, as well as 24/7 remote diagnosis, safe compliance with environmental regulations and increased occupational safety. KS HUAYU AluTech went for an enlarged shaft geometry of the BigStruc, with a capacity of 9 m3. This means large returns can be melted without having to be cut into two pieces beforehand, eliminating this extra work step. In order to load BigStruc at the optimum time during the melting process and keep it well filled at all times, fill levels are monitored constantly via a laser system – even if the shaft cover is closed. Data collected on filling cycles, energy requirements, etc. can be archived and easily evaluated. Analysis of this data can then be used to further improve BigStruc’s efficiency and productivity. “Our omnivore melts up to 3.5 tonnes of aluminium per hour, 24 hours a day. It’s always hungry, but it never gets tired,” Reuther concludes.